Click here to view the two day pre-kindergarten enrollment page. Click here to view the three day pre-kindergarten enrollment page. ​The five day class focuses on kindergarten preparation, cooperation, listening skills, and like our two and three day class, daily outdoor hikes, song, dance, and fun! Click here to view the five day pre-kindergarten enrollment page. 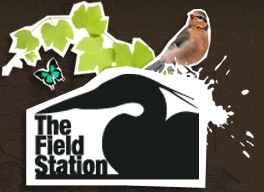 The Field Station has joined together with the Dunes Learning Center and the National Park Service to offer day camp. Click here to view the summer camp enrollment page. Click here to view scholarhip information. Click here to view the application and registration forms.